Are you ready to discover the health and well-being that resides inside of you? Then place yourself into the comforting hands of Franklin's best massage therapists at Life Source Massage and unlock your body’s natural ability to heal. Healing using the nervous system. 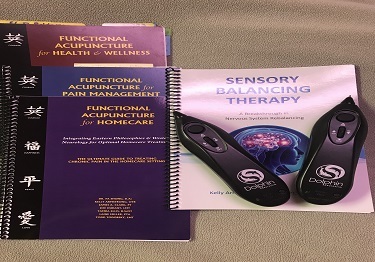 Micro-point systems assist with pain therapy, scar release, down regulates autonomic nervous system (ANS), balances the sympathetic system and para-sympathetic system. For the depths of healing with the specialized, deep-tissue therapy that focuses on site-specific needs. Through time “tight muscles” and unaddressed tensions can escalate into chronic pain that hinders areas such as arm and hand, neck, shoulder, lower back, and hips. Working to relieve tightness and help alleviate pain, this specialized massage brings balance between the musculoskeletal and nervous system, stimulating the body, reducing stress, and restoring health. Imagine yourself enveloped in a sea of luxurious warmth-all the cares and stresses of the day floating away. Relax and unwind with a soothing Hot Stone Massage. The penetrating heat from the smooth basalt stones will help melt away tension in sore, overworked muscles. The warmth also creates a deep relaxed state, allowing you to let go of stress that is held within your body. You will be able to relax, rejuvenate, and reconnect to a positive state of being with a Hot Stone Massage at our Springboro spa. Experience the incredible benefits of Cupping Therapy. This gentle, yet powerful practice that helps to sedate the nervous system, ease tense/painful muscles, improve blood flow, activate the lymphatic system, release toxins, soften scar tissue, and relieve inflammation. Profoundly relaxing and soothing strokes aid in the relief of many health issues, including (but not limited to): anxiety, high blood pressure, chronic headache, neuralgia, fatigue, chronic pain, long-term injury, pre- and post-operative conditions, asthma, pneumonia, and fibromyalgia. The healing of Cupping Therapy assists with both recent-onset and chronic issues. John Harvey Kellogg, MD, the father of medical massage therapy, advocated the use of vibration through shaking hands or fingers rapidly back-and-forth saying it has an almost narcotic (pain-killing) effect for conditions such as sciatic neuralgia. What Kellogg didn’t know was that low frequency vibration seems to activate the release of endorphins; the substances that the body makes to manage pain. Producing these vibrations by hand is difficult and tiring for the therapist. By using tuning forks slightly out of tune with each other a low-frequency “beat” is produced that simulates the vibrations that one could produce with their hands and fingers. The effect is just as Kellogg described, and much easier for the therapist to utilize. We also do couple's massages here in Springboro so both you and your partner can get the relaxing, healthy experience you deserve! We only do couples massages by appointment and only with one month prior notice. Rejuvenate your body and senses as you become immersed in the relaxing sensations of Swedish Massage. It is the perfect cure to relieve the daily stresses of life as it increases circulation and quiets the nervous system while reducing tension and tight muscles.